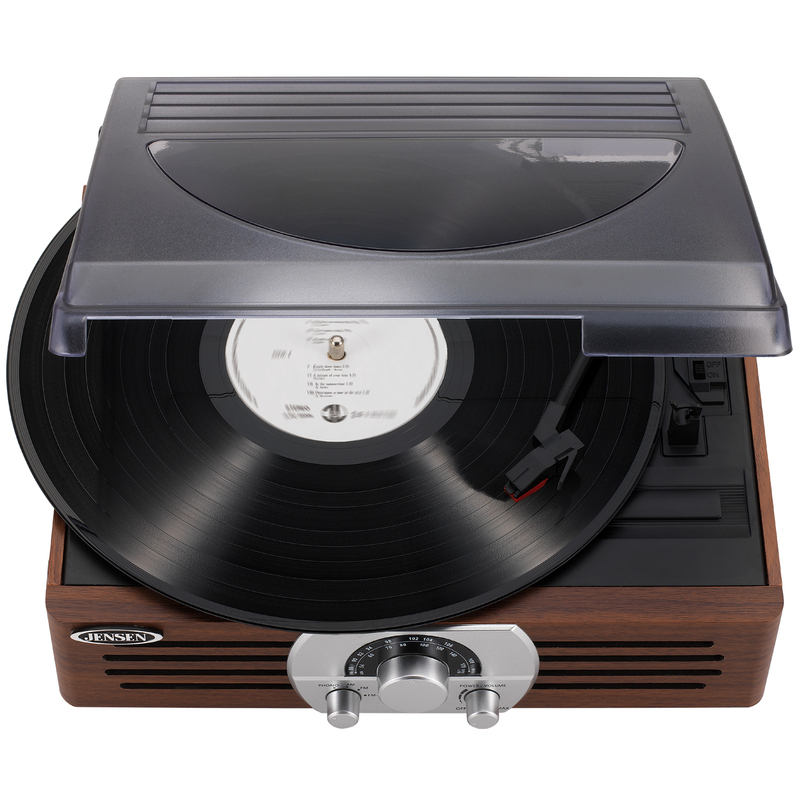 JENSEN®'s JTA-222 3-Speed Turntable with AM/FM stereo radio features two built-in front facing speakers that project great sound! 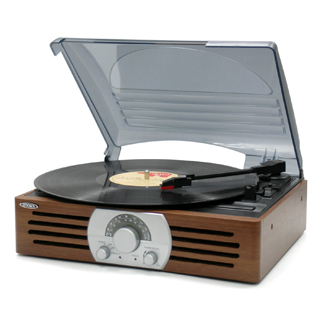 Additional features include external speaker output terminals, stereo headphone jack, power indicator, and dust cover. 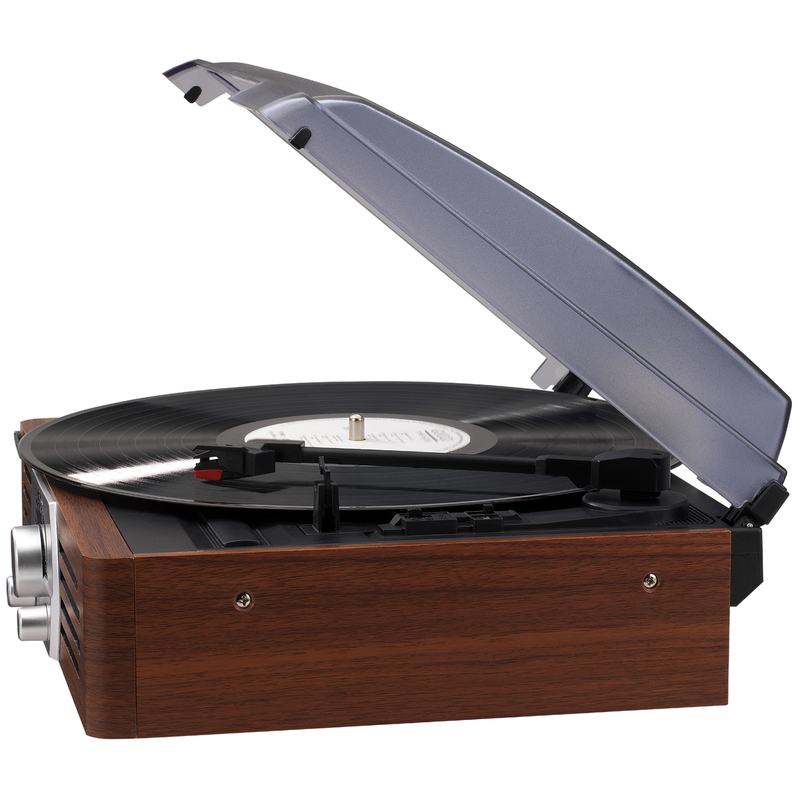 The built-in pitch control allows you to fine tune the record speed faster or slower for the perfect playback. 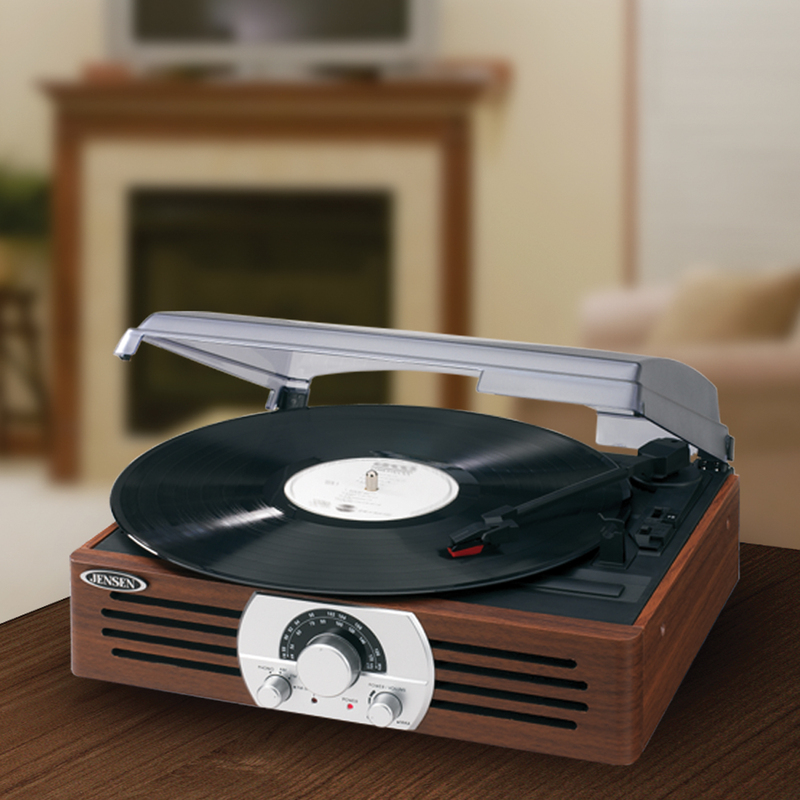 The antique wooden case design gives this turntable a classic look. It's powered by 120V AC power. The JTA-222 is packed with all the features you need at a truly incredible value!